Today Eric is joined by comic book author Caleb Monroe (Batman, Peanuts, Steed and Mrs. Peel), for a balls-out-crazy discussion of the legendary Alvin Schwartz’s metaphysical memoir, AN UNLIKELY PROPHET, in which Alvin claims that he was visited by a magical, 7 foot tall Buddhist monk who taught him the occult truth behind Superman’s existence. It’s the craziest–allegedly true– book in the entire world, and the boys are gonna tell you all about it on this episode of Super Friends presented by Meltdown Comics! 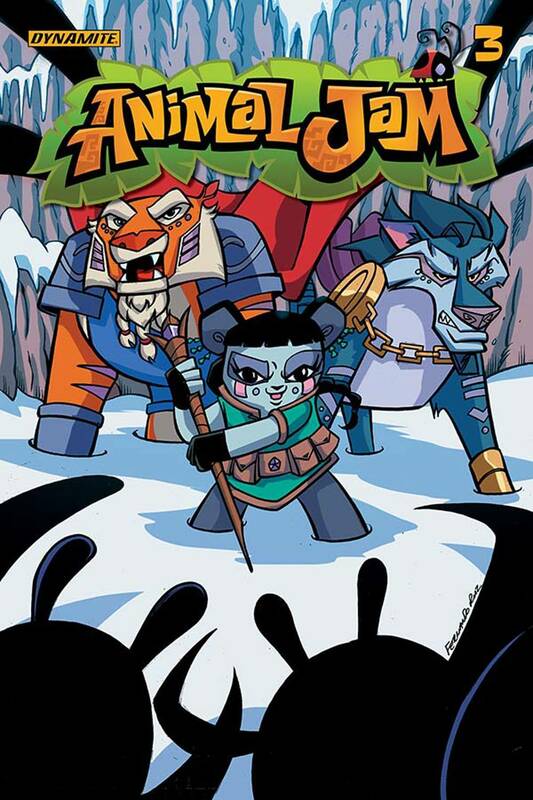 The final chapter of National Geographic X Dynamite’s Animal Jam comic hits shelves this Wednesday (9/6)! I’ve had an absolute blast working on this book. And it’s been an honor working with the legendary Fernando Ruiz– so much so that Fernando and I are now working on an original comic of our own design! We’re joined today by the infamous Adam Goldberg–Playwrite, screenwriter, and occasional guest-villain on Dan Harmon’s “Harmontown” podcast! Adam drops by our Fortress of Solitude today to sing the praises of Jeph Loeb and Ed McGuiness’ SUPERMAN/BATMAN vol 1: Public Enemies! All on this episode of Superfriends with Eric Esquivel presented by Meltdown Comics! Illustrator and animator Ethan Harper (Bee and Puppycat) joins us in the studio to chat about the SUPERMAN: THE ANIMATED SERIES episode “Fun And Games”! Ironically enough, this episode is zero fun, and nobody plays any games. Presented by Meltdown Comics! Celeste Klaus works in TV (it’s like comic books, but the pictures move and everybody gets paid a lot more), and is here to talk to us about the greatest thing to happen to the 90’s, THE ADVENTURES OF LOIS AND CLARK! Credits: Celeste has worked as Writer’s Assistant on Mr. Robot, Narcos, New Girl, and Rush! She also wrote the short films Mad Cows, and Zombi! In this episode, Alison Tompkins (aka, hip hop superstar “ISIS”) drops by the studio not to drop some lyrical bombs, but to talk about how sometimes good Superman stories come in SMALLVILLE packages–specifically, the Smallville episode “Crimson”!